I’m pleased to announce that the BJCP style guides for Mead and Cider are now available as add-ons in BeerSmith. A volunteer Tim Leber was kind enough to enter these and send them to me, so now everyone can use them in BeerSmith. First, if you don’t have it I strongly recommend installing the BJCP 2015 Beer Style Guideline addon as outlined here. If you have a recent BeerSmith install or already have the 2015 style guidelines this step is not needed. Go to File->Addons within the program and then (very important) click on the Add button. This will bring up a list of the add-ons you have not installed yet. Select the BJCP 2015 Mead Styles or the BJCP 2015 Cider Styles and click on the Install button to install each one. Check under Profiles->Style Guide to make sure they were installed properly. Finally – many of you will be happy to hear that I’m working on the 2.3 updates for BeerSmith mobile and have included an add-on feature in the upcoming version which will let you download ingredient, equipment and mash updates. I’m working hard to get it released in late November. Now go out and make some mead or cider! Thanks for joining me on the BeerSmith Home Brewing Blog. 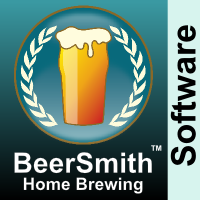 You can grab a trial version of BeerSmith from BeerSmith.com. Be sure to sign up for my newsletter or my podcast for more great tips on homebrewing. I’m using Beersmith 2 mobile and I can’t find any cider/mead style downloads in the add-on area. Are they not available for mobile users? If not, could they be made available? Also looking for the same cider/mead style downloads. Also, trying to find apple cider as an addition. Is it available? Thanks.